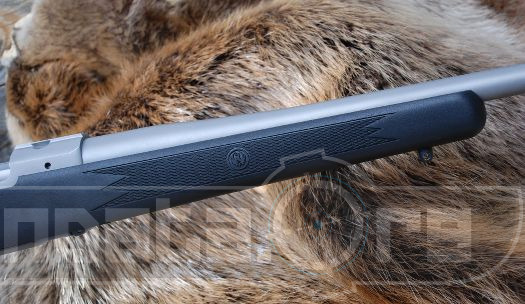 The Ruger M77 Hawkeye All Weather is similar to the standard Ruger Ruger M77 Hawkeye but it instead has a synthetic stock, and the metal is not a alloy but rather stainless steel. 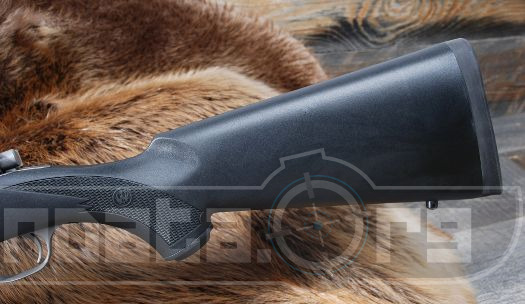 These changes have been made in the Ruger M77 Hawkeye to make this gun weather and scratch resistant. Stainless steel and synthetic polymorphous materials are very resistant to scratching and corrosion. 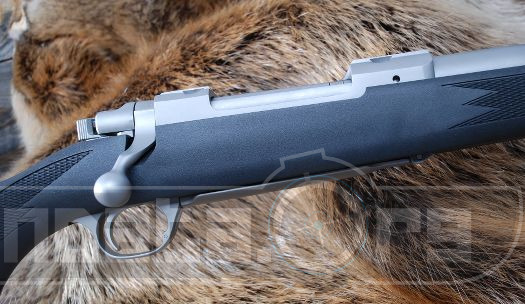 This gun also comes in the following calibers; 204 Ruger, 22 250 Rem , 223 Rem , 243 Win , 25 06 Rem ,6 5 Creedmoor, 270 Win ,7mm Rem Mag ,7mm 08 Rem , 30 06 Sprg , 300 Win Mag , 300 RCM, 308 Win , 338 Win Mag , 338 RCM. 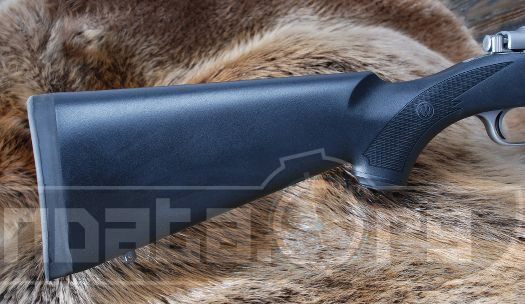 The barrel length is around 22" and the weight is around 7.5lbs. These values change with the caliber like they normally do with all guns, as the barrel specs need to change to accommodate different twist rates and other small factors. This gun might also do well on a boat or ocean going vessel, the synthetic stock and stainless steel combo is used in many ocean guns as the salt water tends to be majorly corrosive to the standard gun materials.